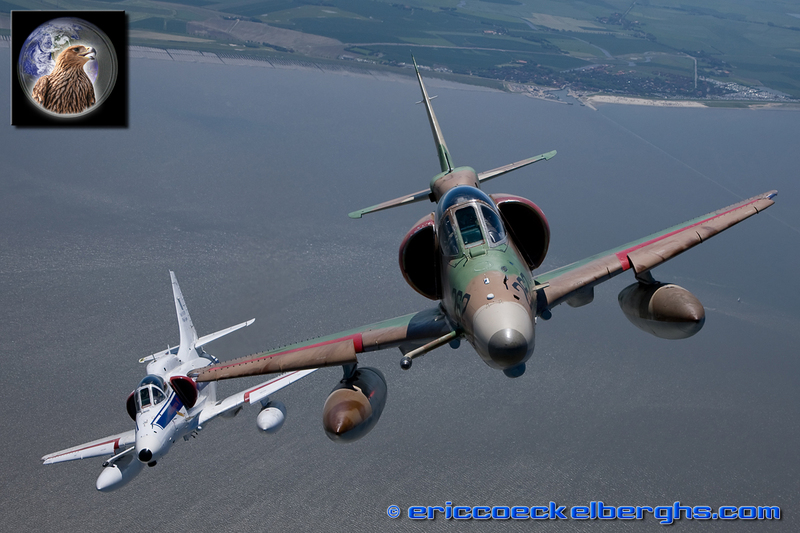 Only one month after the Air-to-Air Academy our PhotoCrew was ready for what we really could call a photoflight adventure of a lifetime!!!! For this photomission we teamed up with Frank Crébas of Blue Life Aviation. 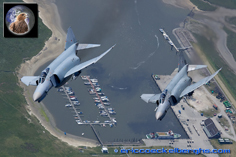 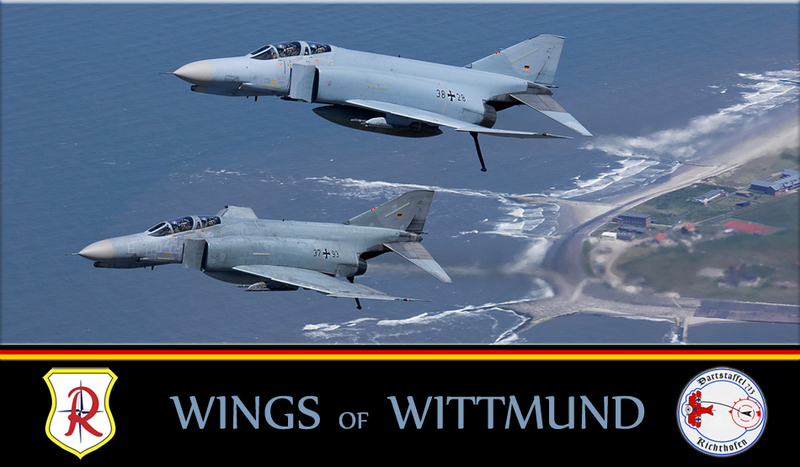 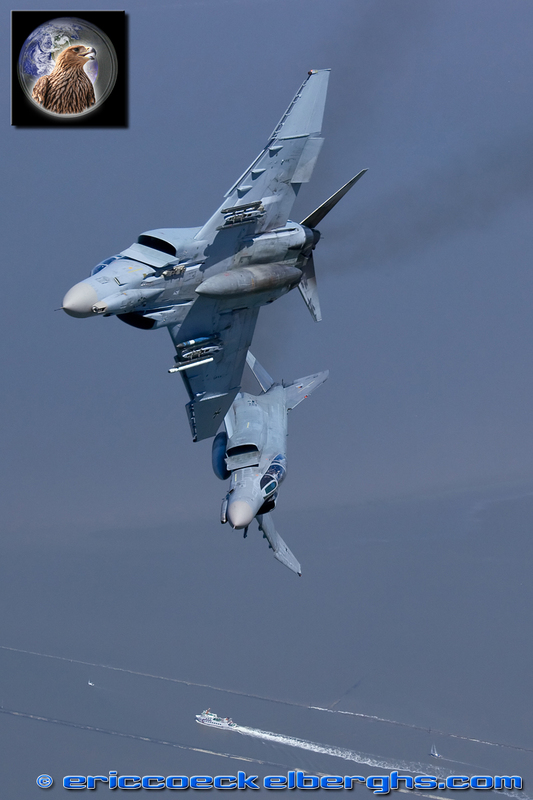 As we had set up already some flights for the Dutch Open Days, we came with the idea of flying a little into Germany to encounter some of thé hottest pieces of heavy metal still gracing our skies. 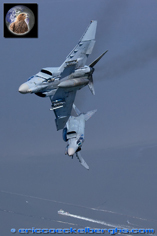 And what an incredible photoflight this was, amazing in any way. We had a chance to take 6 Academy photographers with us, and also for them it would become a once in a lifetime chance; everything was so perfect that day. 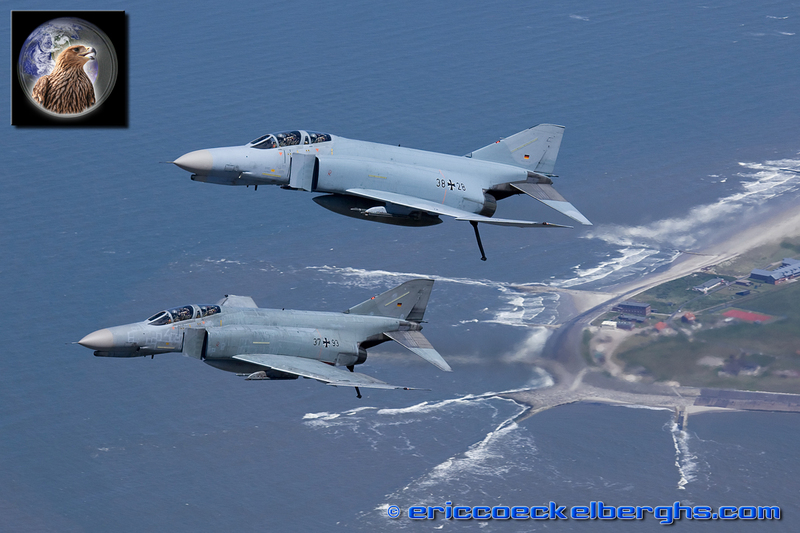 We had brilliant weather a superb backgrounds as we flew along the northern coast of Germany. 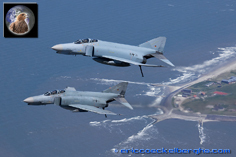 Our first encounter were 2 “Rhino's” from JBG71. 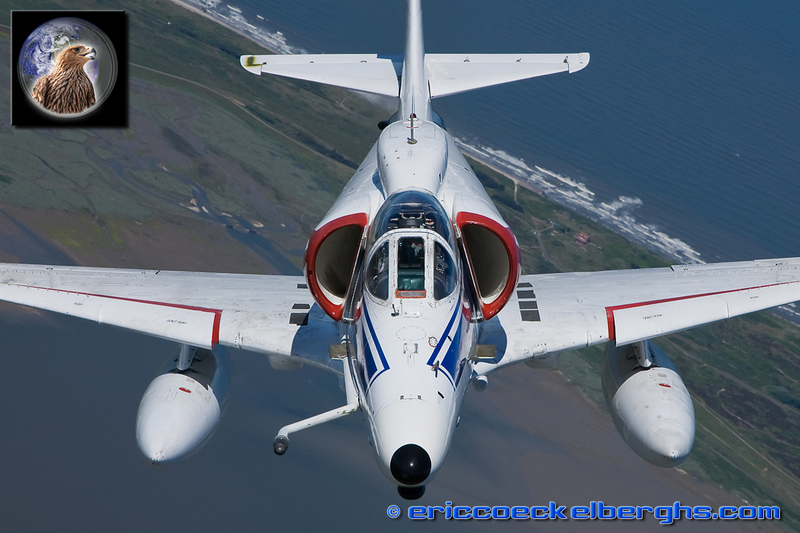 The first time they passed under the Skyvan photoship we really cheered as if it was a concert of U2!! Incredible an unforgettable view. 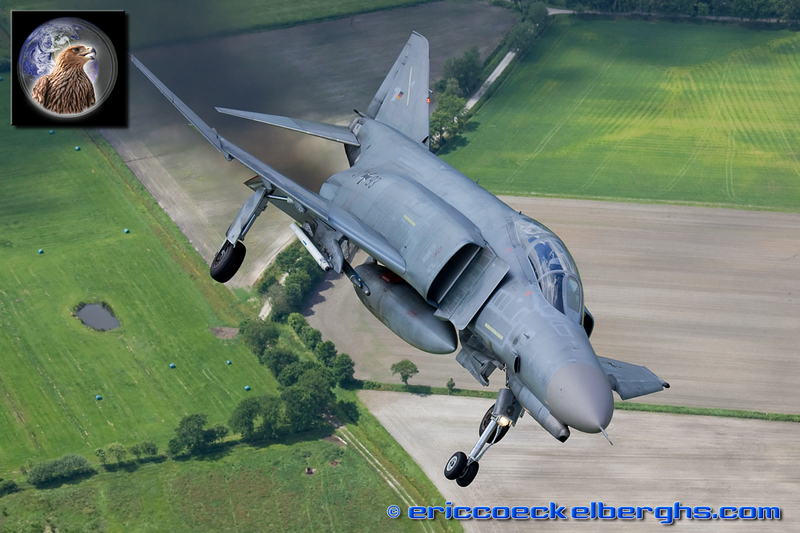 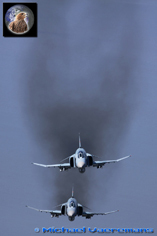 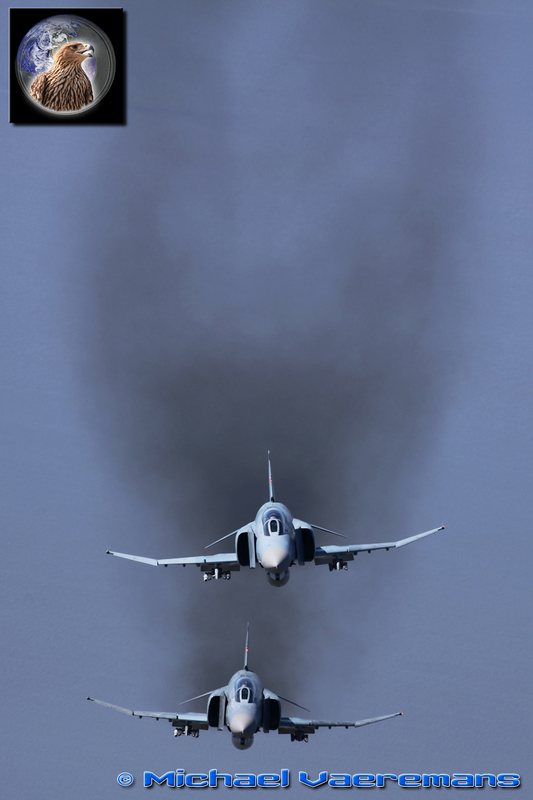 The F-4's made several passes under us, gear down, breaks, opposing breaks etc the last angle was a gear down pass over Wittmund with a break in the end....just the moment the sun was still on the ground, pretty cool effect and another fantastic picture. 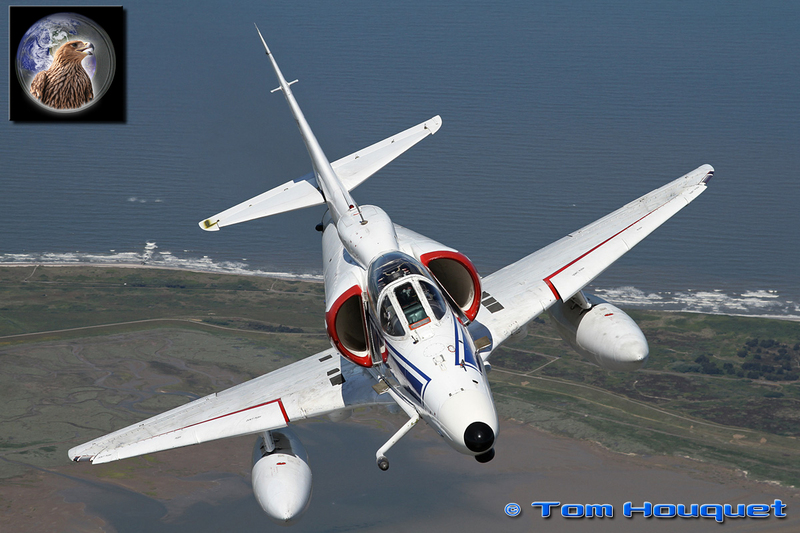 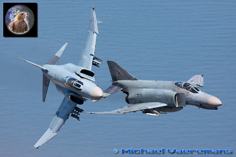 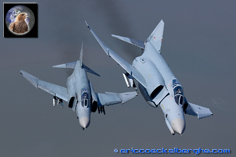 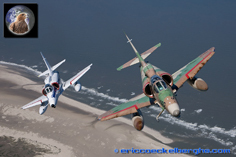 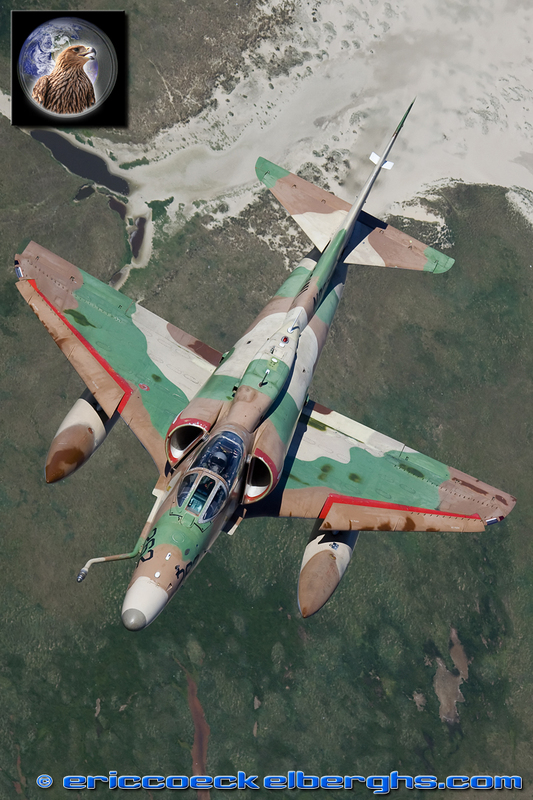 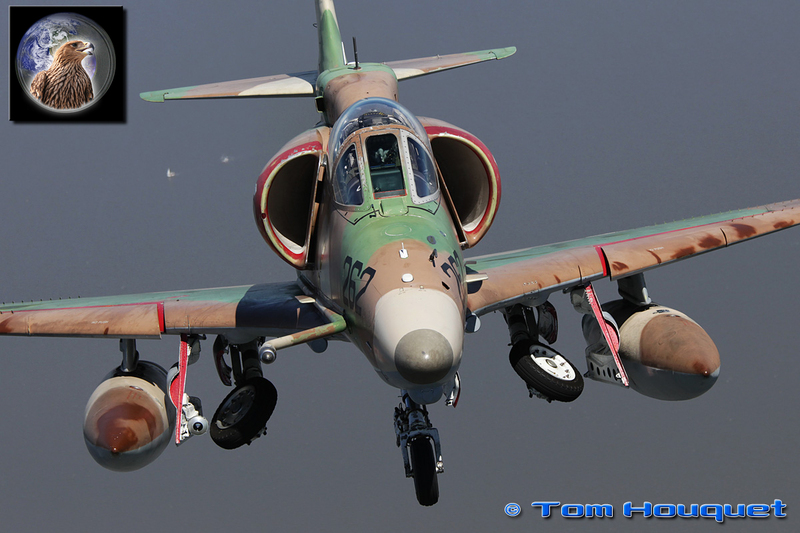 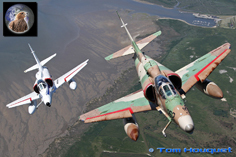 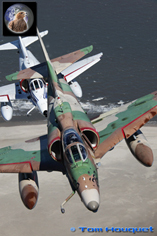 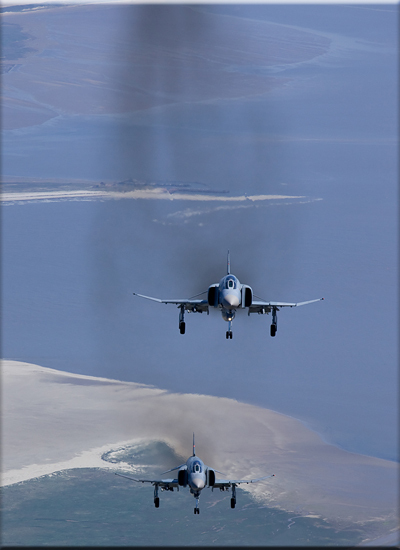 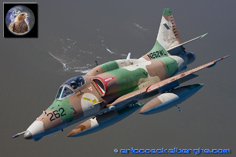 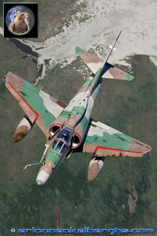 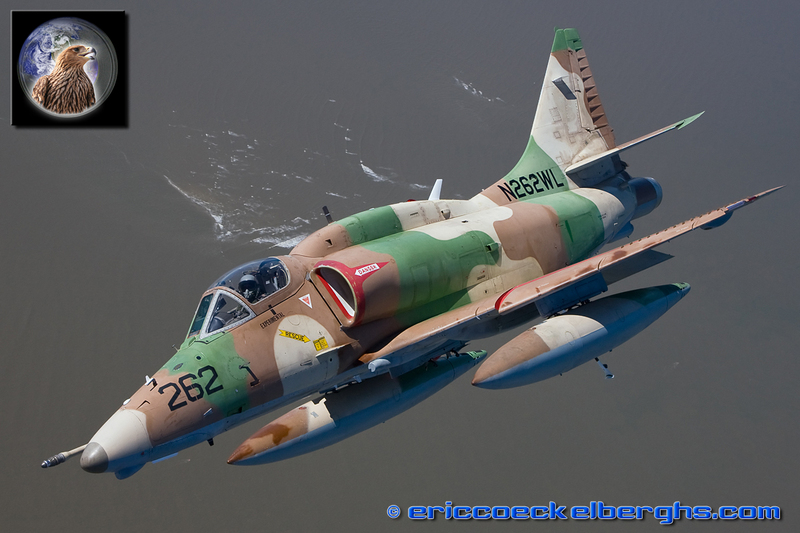 After our F-4 encounter we flew back to the coast to meet two A-4 Skyhawks under perfect light conditions. 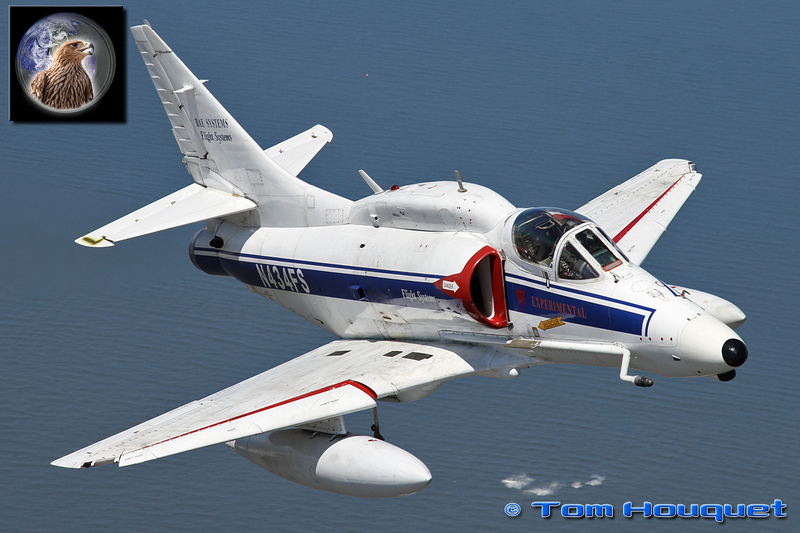 As the Skyhawks can adapt to the rather slow speed of the Skyvan, they were able to hold their position behind us, so they put up another fantastic private airshow for us. 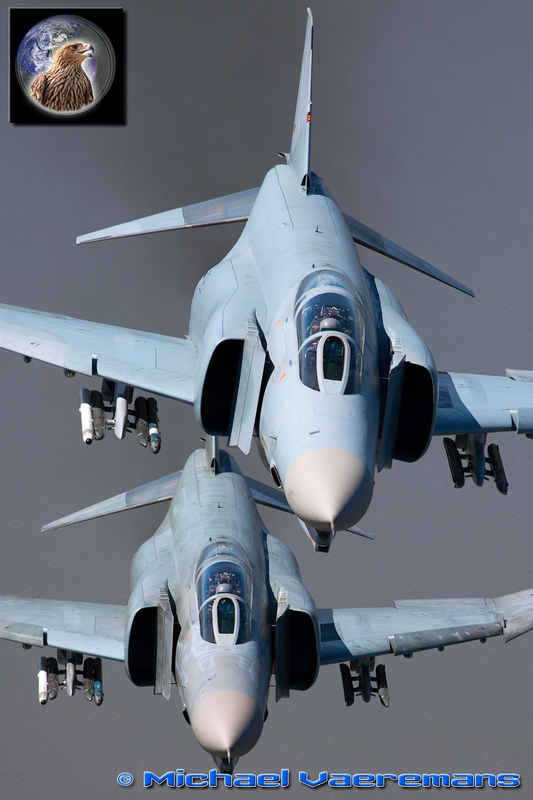 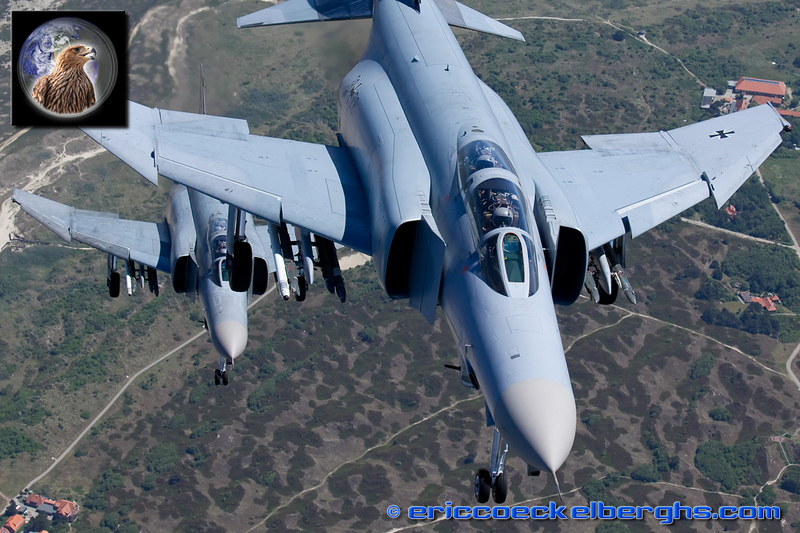 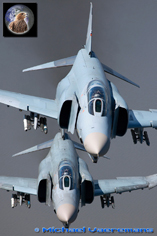 The A-4 is so rare nowadays and certainly in European skies, and they even brought us two different aircraft. 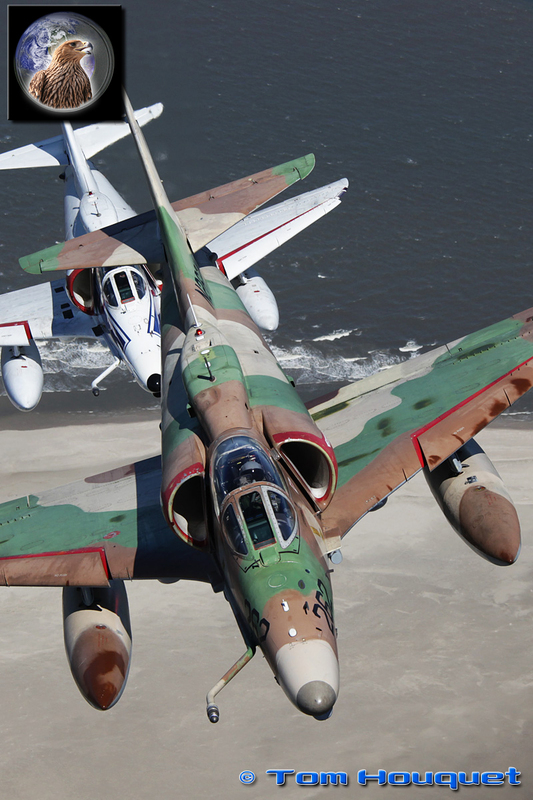 One in the well-known white color and the other in the Israeli camouflage.....what more could we ask for that day.....? Well we actually did get an incredible 'surprise' as Frank and I had arranged that we could land in Wittmund after the mission to celebrate the final F-4 flight of one of the pilots; cake, drinks and incredible pictures, that was a most memorable afternoon we shared with the guys of JBG71 and BAe Flight Systems. Thank you all 1000 times folks, and you know we'll be back for sure!